Classes are designed to include fun activities to increase confidence, diction, creative movement, mimes to music, improvisations, script reading & scene work, performance and audition technique, acting for camera workshops and showreels, Lamda Exams. We will also be offering performance opportunities and productions. For students looking to work professionally we will be screening and working closely with our recommended Casting Agency for work in TV, Film, Voice-Overs & Theatre. Does your child love to sing & dance? We run a fun 30 minute class for 3-5 year olds involving party songs, drama games & fun dances allowing the child to grow their confidence, gain individuality, musicality & creativity all whilst learning skills in dance, drama & singing to well known pop and musical theatre songs. Mondays - 4.15 - 4.45 p.m.
Saturdays - 10.00 - 10.20 a.m.
- 10.10 - 10.30 a.m.
A fun 45-minute class for 6-10 year olds containing Musical Theatre training to include singing, drama & dance. Optional L.A.M.D.A Exams. Mondays – 4.45 – 5.30 p.m. Follow us on Facebook. Click the below link to be directed to our page. Join to be part of our next local production and West-End Show. Please email us to enquire further. 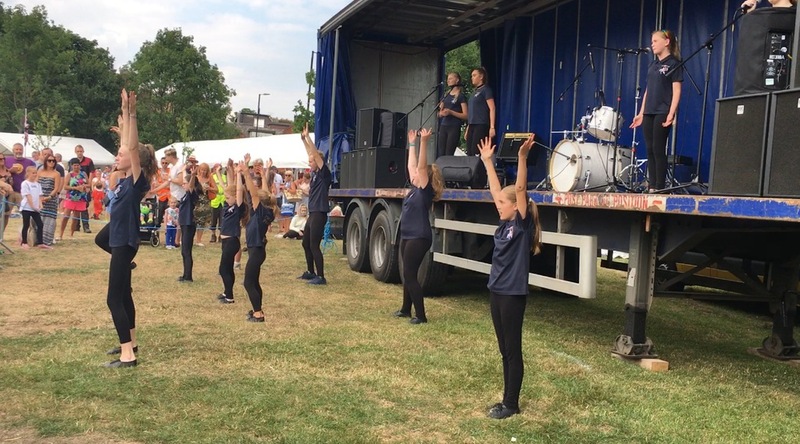 Fusion Performers 'Musical Theatre Company' are booked for many professional, semi-professional and amateur events all year long as a company or individually. Specialising in all styles of Musical Theatre and Pop they have a catalogue of songs and routines at hand to use. All Members work towards endless performance opportunities ranging from local events, to own in-house Productions, to West End Performances. Training is given using all three Disciplines of Acting, Singing & Dance. Acceptance is via Audition only. Please email us on: fusionperformerbookings@live.com for more details.